To highlight an area in the home where folks enjoy either spending time cooking or taste testing, we created the ‘Favorite Kitchen Contest‘. Winning Guildmember, NVS Kitchen and Bath made our readers eat their hearts out with their 2011 completed contemporary-styled kitchen. Inspired by homeowners who have a passion for cooking and the coast, NVS designer Alison Martin went to work. 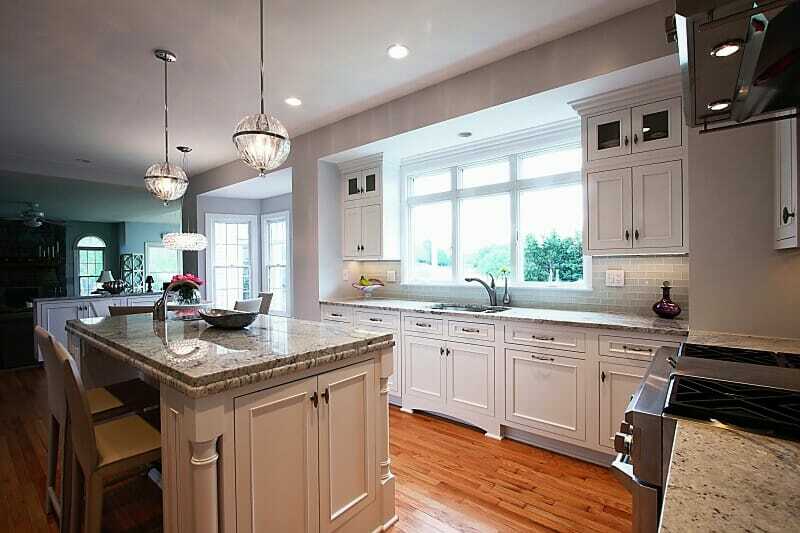 Alison, who has been with NVS Kitchen and Bath for 9 years, expanded her client’s original kitchen by two feet increasing the size of the island and adding an additional sink. The additional space provided plenty of room for two avid cooks and extra seating for their guests. Alison’s clients requested a light and airy seashore feel to their new space. 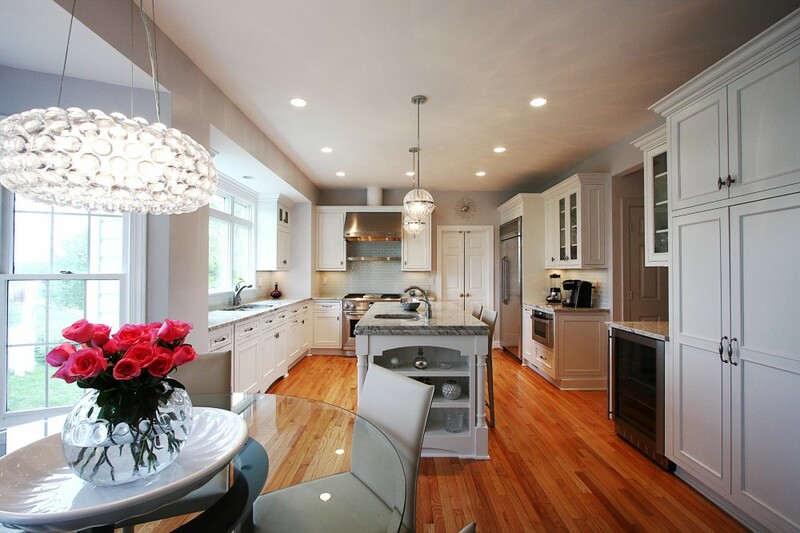 While the Dura Supreme white painted maple cabinets and Bianco Romano granite contributed to the airy feel, this kitchen is really all about light. A combination of natural, recessed, decorative and task lighting illuminate all of the work surfaces. 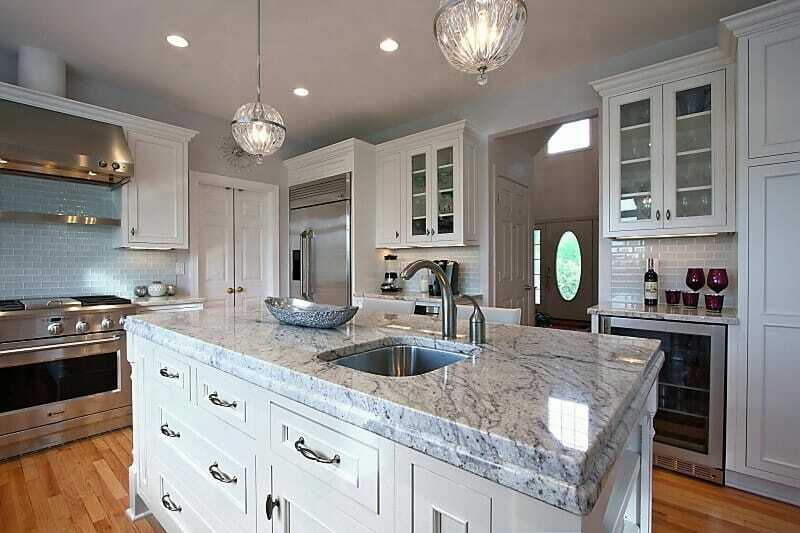 NVS Kitchen and Bath is a full-service design-build remodeler with over 25 years of qualified, exceptional experience in the remodeling industry. For more information on NVS, and to see photos from their completed projects, visit their GuildQuality profile page.